Wander Womaniya is a travel company that organises women-only trips all over the country. They focus on ensuring safety, security, and promise great experiences on their curated trips. The fact that they want women to travel freely–without having to worry about their safety and security for the better part of any vacation. After all, you can only explore with an open, free mind. They've got an experienced team in the travel and hospitality sector, which curates experiences that range from camping in tents to holidaying in exotic resorts. They've got upcoming trips to Spiti Valley, Bir Billing, Goa and more. They give out complete details of every trip–duration, activities, accommodation, inclusions and exclusions. The price of every trip includes everything like flight fares, stay, meals, and anything else they mention. 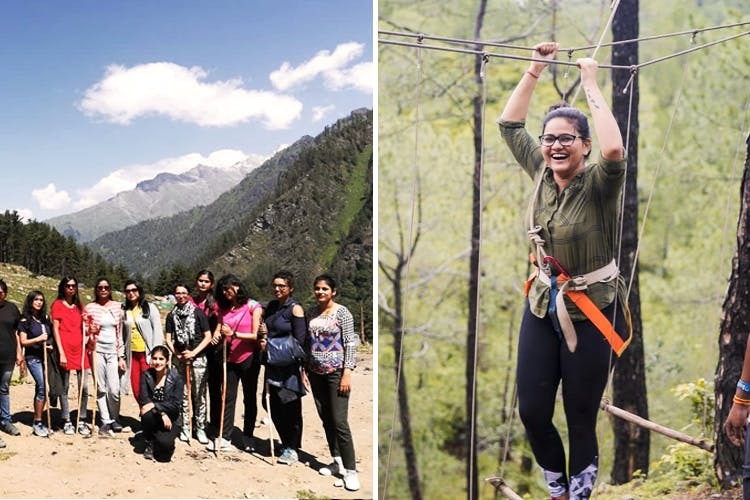 So, if you and the girl gang have been trying to get some time off together, we say you sign up for one of Wander Womaniya's experiences to check it off the list. Although you can book multiple tickets for you and your friends, an option to get personalised trips curated by them would have been great. Go through their upcoming trips' sections and book well in time so the price or availability doesn't change.